love the color of the cantaloupe in ice cream, just too tempting. like the color and texture....yum! ice cream looks yummy. wish to have one scoop. Very delicious,delightful and super tempting icecream. This looks absolutely delicious! 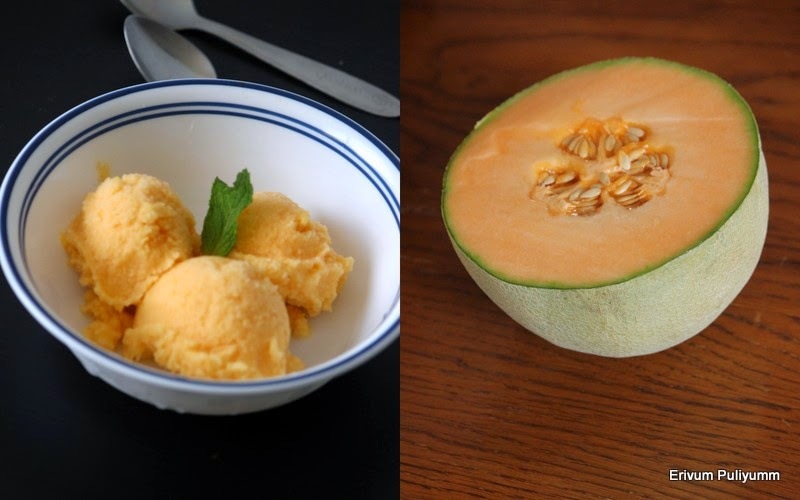 Never made ice creams with cantaloupe, will try this soon! Lovely colour.. and an easy recipe. Cantaloupe ice cream looks delicious love it. I love your ice cream. I imagine the flavor and the savour. I don't know what "half n half" means. Here in Spain we have very good melons. They are completly different to cantaloup. Try to make jam with melon. I've got a fex in my site. @Marisa G Half n half is nothing but equal parts of light cream and milk.It has fat content lower than that of heavy cream. Delicious ice cream, looks so yummy..